Utah Civil Practice guides you through every step of Utah civil litigation practice. From pretrial preparation through appeals and enforcement of judgments, you'll find the step-by-step instructions you've come to depend on for proceeding successfully at every level of the Utah civil court system. 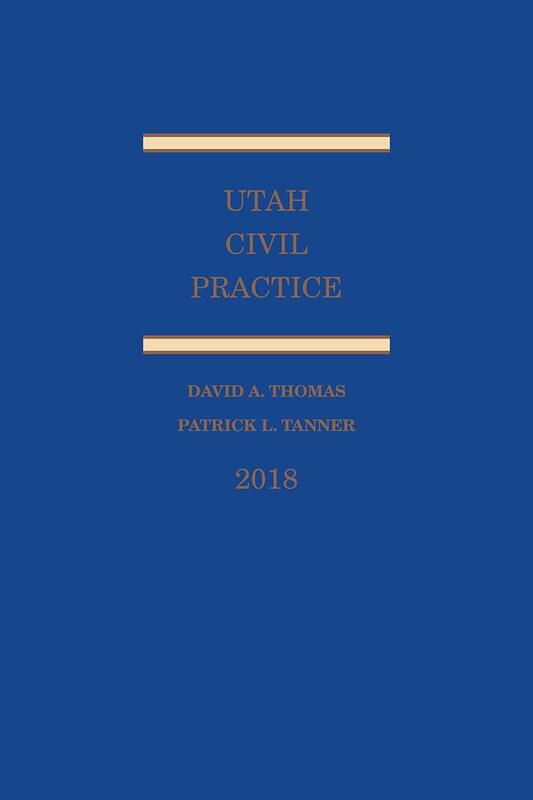 Utah Civil Practice is prepared by Professor David Thomas of Brigham Young University's J. Reuben Clark Law School, an authority on Utah procedural law, and relies specifically on Utah, not national, authority. This trusted resource, in handy softbound form, is completely updated each year with the most current legal developments. 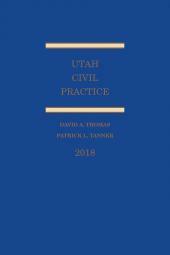 Utah Civil Practice provides the latest on pertinent legal authority including statutes, rules, case law, and court reorganization information. David A. Thomas is the Rex E. Lee Endowed Chair and Professor of Law Emeritus at Brigham Young University's J. Reuben Clark Law School, where he taught from 1974-2012. He was born in Los Angeles, California, in 1944, and was educated in Utah schools after 1950. He served a 30-month LDS mission in North Germany from 1963-65. He earned his B.A. and M.L.S. degrees at Brigham Young University (1967, 1977) and his J.D. at Duke University Law School (1972), after an interruption for military service in Vietnam. Following law school graduation, he completed a federal judicial clerkship and practiced law in Salt Lake City, before joining the new law school faculty at Brigham Young University. He received professor of the year awards in 1998, 2000, 2005, and 2010. As a teacher and author in both property and civil procedure areas, he has effectively combined theory and practice in conducting real property transactions, dispute resolution, and expert witness assignments. He proposed and drafted Utah's first statutory changes in common law easement rules, which were enacted as the state's enabling legislation for historic preservation easements; he also drafted Utah's long range highway corridor preservation legislation. Professor Thomas has been admitted to practice before the Utah Supreme Court, the U.S. District Court for the District of Utah, the U.S. Tenth Circuit Court of Appeals, and the United States Supreme Court. He has been a bar examiner for Utah and has prepared bar examination questions for Utah and several other states. 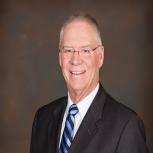 He has also served on numerous law school accreditation site inspection teams. He was a member of the Real Property, Probate and Trust Law Section of the American Bar Association, where he held several leadership positions. He was also a founding member of the Real Estate Transactions Section of the Association of American Law Schools. 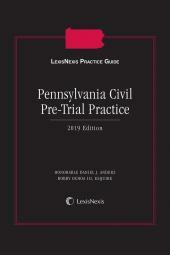 Professor Thomas has published extensively on real property, civil procedure and common law legal history topics, including over 60 books, chapters in several treatises, and articles in professional journals. 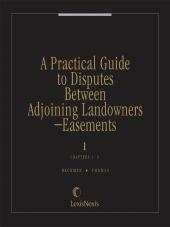 He is the author of A Practical Guide to Disputes Between Adjoining LandownersEasements (with James H. Backman), Utah Civil Procedure, Utah Civil Practice, and (with Backman) Utah Real Property Law. 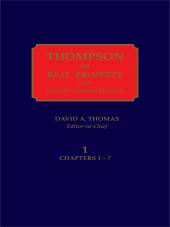 He is the editor-in-chief and principal author of the 15-volume treatise Thompson on Real Property, Thomas Editions (LexisNexis, 1994-to present), which has been cited in hundreds of state and federal cases. In 2013 he issued the 2-volume work History of American Land Law.